There is no doubt that recycling is a great way how you can help the environment, because it helps keep our planet clean and healthy. 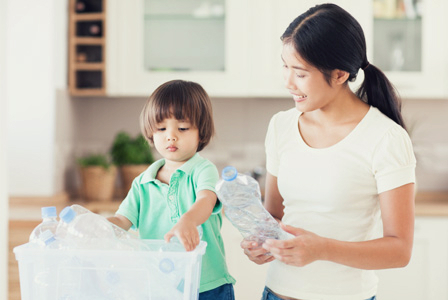 But even though anyone can recycle, because it doesn’t require any specific knowledge, there are a few basic things that you should do before you recycle any material that will make the actual recycling process quicker and easier, once the materials have gone to their appropriate recycling facilities. And one of these things is that you can properly prepare the recyclable materials for recycling. 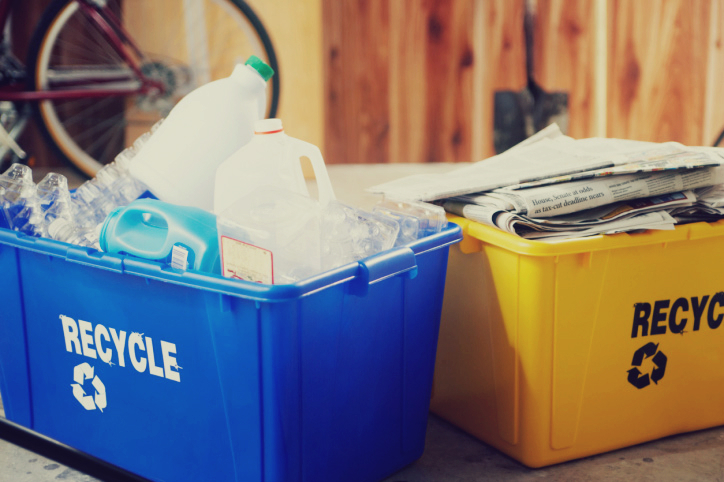 The first thing that everyone should do before they recycle their used plastic, paper, aluminum or other material containers is to clean them after they are used up. No, you don’t need to scrub them clean so they look brand new or so that there is no trace left of what was in the containers before. But you should at least rinse them with water, so there isn’t any big food, liquid or anything other particles left. If you throw out containers that are dirty with sauces, oils or any other substances, they can contaminate the rest of the similar materials in your recycling bins or in the big recycling bins if you throw your recyclables in them. And since often big recycling plants don’t want to take materials that are dirty with leftover food and such, because that means bigger expenses for them, rinse your recyclables before recycling, so you can be sure that they will be properly recycled. But after you have washed your recyclables don’t just throw them in recycling bin wet. Make sure that they are dry, so they can be recycled. This especially applies to paper, cardboard, but metal cans, glasses and every other material, too, needs to be dry and free of liquids, when they reach the recycling centers, because again, if the materials are wet, recycling centers and plants need to invest in extra equipment to dry and clean these materials, which they don’t want to or cannot do. Often containers, tubs, cans and such comes with other materials attached to them, for example plastic containers with paper labels, or glass jars with metal lids. But since usually recycling centers recycle only one type of material for example only paper, plastic or metal materials, these other materials are hazards to the whole recycling process. 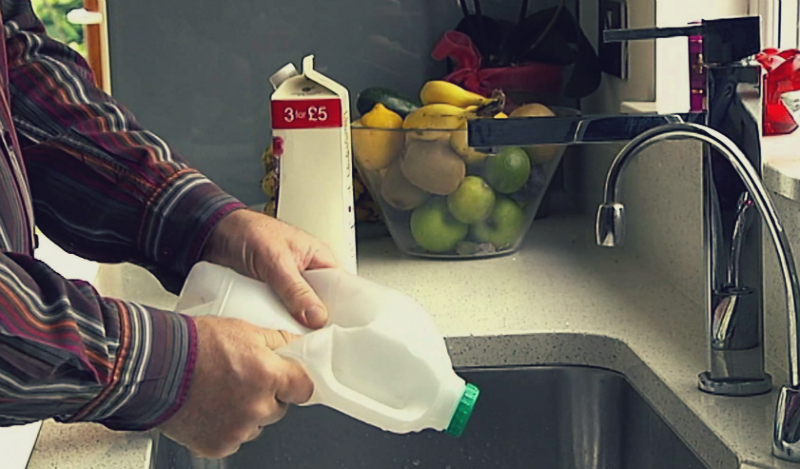 So remove all other materials beforehand, so the recycling process can go much smoother. Just remember that this doesn’t mean that you have to scrub all paper trace from each and every aluminum can or plastic bottle for example, because since most recycling processes involved very high temperatures, small parts of paper will burn up by itself, just make sure that the majority of it is gone before you recycle your materials. And lastly also make sure that you flatten your recyclables before you throw them in recycling bins. The biggest reason for this is, that by flattening your recyclables you make room for more materials, meaning that the recycling bins can be emptied once a month not every two weeks, saving a significant amount of money on gas and other resources for the recycling services. On top of that by flattening cardboard boxes, crushing aluminum cans or squishing up plastic bottles you also make it easier to unload the recycling bins and actually recycle the materials, because they will all be in approximately the same size, therefore easier to recycle.